Here is a gorgeous Australian gold nugget that we sold a few years ago. It has extremely bright gold, indicating a naturally high purity gold that Australia is known to produce. This one weighed approximately an ounce and a half. 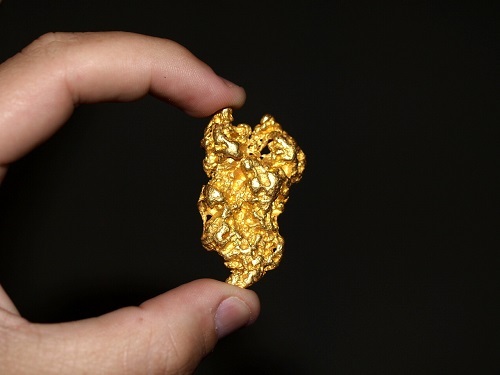 Investors and gold collectors are very fond of large Australian nuggets like this one.